From its very first appearance 200 years ago on the pages of Jane Austen’s masterpiece Pride & Prejudice, Pemberley has captured the hearts and imaginations of generations and fashioned its own army of devoted followers. This book gives you the opportunity to walk the grounds of Pemberley guided by its Master, none other than Mr Fitzwilliam Darcy himself. Mr Darcy invites you to visit his home and discover its beauty and secrets, led by him every step of the way. Wife, mother, medical doctor, PhD, university lecturer, businesswoman, training consultant, video producer, aspiring author of children’s fiction, Harry Potter fanatic, Jane Austen enthusiast, the mother of cats (two), ducks (multiple) and a pheasant, Facebook blogger with a great following (thank you, guys! ), a Creative Director of the Jane Austen Literacy Foundation (we are all volunteers there), a writer and illustrator of Jane Austen-inspired travel fiction – and today I am proudly (and somewhat nervously) presenting my first book in this series to you.. I am very glad to connect with all of you on the pages of my dear friend’s blog “All Things Jane Austen”. Rita is, indeed, my good friend, even though we haven’t met with her outside the cyberspace yet. But it is no obstacle to our friendship, because we share our love of Jane Austen – an amazing woman from a small English village, who dared to be different, creative, independent and – 200 years later – is still going strong, touching the hearts and souls of people all over the world. This book is also a labour of love – love of Jane, her books, English countryside, Elizabeth, Mr Darcy and the BBC 1995 adaptation. It was born out of my personal frustration of not being able to find something of this kind in any book shops, even at Lyme Park itself. I thought then: “If I feel a passionate need for such a book, and I can actually come and visit Lyme Park (Pemberley 1995), how must readers from other parts of the world feel, especially if they cannot travel to England that easily?” That is how the idea came to me and – three years later – the book is ready to be published and be presented to you. I hope you’ll enjoy it and share my love of Pemberley and its excellent owners. I am also delighted to be supporting the Jane Austen Literary Foundation, a registered not for profit organisation. The foundation was created in honour of Jane Austen, to improve global literacy rates by raising money to fund reading and writing resources for communities in need across the world, by Caroline Jane Knight, Jane Austen’s Fifth Great Niece, who has also kindly written a Foreword for this book. I will be donating 10% of any profit made on this book to the Foundation. The book will be released on 1 October 2017. It will be sold on Amazon UK, and other European Amazon sites, with worldwide delivery, price £25 + p&p. However, as it is a limited edition – the number of copies printed will be determined by the number of pre-orders we receive. It means that after 1 October only very few unreserved copies might go into general sale. The best way to secure your book and SAVE money is to pre-order your copy now: https://gumroad.com/pemberleybooks at £20 + p&p only – available worldwide. The first chance to win is today! The draw is open worldwide, with the winner receiving the 1st prize and two runners up – the 2nd prize. All you have to do to enter the GIVEAWAY is leave a comment here on Rita’s Blog (this one) saying what Jane Austen related place you would have liked to visit and why. You must leave your comment here and not on Facebook so we can contact you if you win. Make sure you check if you are one of the winners next Tuesday July 11th, 2017. 2nd prize (two) – A5 print of the portrait mentioned above and seen below. Thank you. 🙂 It is a very exciting time for me – I hope you will like the book. OMG! Congratulations on this amazing endeavor!!!! I absolutely love the cover! I will have to pre-order my copy! Where would I like to visit other than Lyme Court? Tough question as Chawton would be a favourite, but since I love the water, Lyme Regis for me! As for the prizes…yes please! I would love to win Mr. Darcy!!!!! Oh the lucky person who does win that!!!! I had the honour to recently visit Bath, Lyme Regis, Lyme Park and the Peak District on my own mini Jane Austen tour. But I have never visited Chawton and would relish it. All hail Miss Austen! Definitely Lyme Park – a girl can only dream!! I can’t wait for this book. Ordering now. Thank you for the give-away. Living in Australia and never having been to the UK [yet! ], going to any place linked to Austen would be amazing! Chatsworth, Chawton, Lyme House – fantastic! I didn’t know that! A closer Austen connection to Australia! I’m so looking forward to the arrival of your book in October. 😀 Congratulations on achieving one of your dreams! Hello Jo, and thank you for the introduction Julia. I am the last Austen to grow up at Chawton House while it was still our ancestral home. I am now in Melbourne, where are you located? Hi Caroline! How amazing for you to grow up there! Awhile ago I looked at some images of the Chawton House Library and its portraits and would love to visit and while away the time in imaginings! 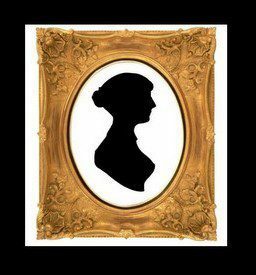 Thank you for your message, my daughter Morgan is who is 23 and an Austen convert [perhaps somewhat influenced by her mother!] will be ‘stoked’ to know that that same mother has received a message from Jane’s descendant! In answer to your question, I’m in Brisbane. You’ve put your heart and soul in it, Julia, and I’m so happy that it’s ready for publication at last, and this delightful work is ready to be revealed and treasured. And the donation to the Jane Austen Literacy Foundation is such a wonderful gesture that makes the book even more special. Please don’t enter me in the giveaway, I just wanted to stop by and spread the love for Pemberley & Mr Darcy’s Guide to it, but I’ll answer the question anyway: I would have loved to visit the Steventon parsonage, where ‘First Impressions’ was written and Jane grew into the amazing person that she was. Thanks for this lovely post, Julia and Rita, and can’t wait for October! I would love to visit Pemberley, the house, the art, the grounds. It is beautiful and restful and I would love to see it. Having done a Jane Austen Pilgrimage to Lyme Regis, Winchester and Chawton, I new really need to visit Lyme Park. Chatsworth, too! Still under the spell of the 1995 P&P. The cover is extremely appealing….and makes me want to read this book!! I think the inclusion of Colin Firth’s Darcy on the cover will result in this book flying off the shelves and into the hands of avid readers like myself!!! LOVE this cover! I love it. This looks like a great book. Will it be available for US orders as well? I would love a copy of this book. Awesome job!!!! Beautiful pictures. On my only trip to England, I went to Bath. I could picture JA herself walking with her sister Cassandra, along it’s streets, and playing tourist at the Roman ruins. Bath is amazing. My favourite place is The Pump Room – what is yours? What an excellent idea. I also cannot wait for October. I would love to be the inner of the painting above. To be able to visit all the Jane Austen’s locations would be a dream come true. Your publications have allowed me to “go there” from here. Your heart IS Jane’s in your words and deeds. Thank you, Julia and Rita for this wonderful work that I am so looking forward to reading and dreaming! Thank you so much, Sharon, for your kind words! Such feedback makes all the efforts worthwhile. ❤ ❤ Hope you enjoy the book! I am sure you will one day. Chawton is a lovely village. It still feels very much like 19 century there… So peaceful! Congratulations for such a book!! I went a few weeks ago to Chatsworth and to Lyme Park and although Chatsworth is lovely, I simply love Lyme Park. It is so beautiful, with the lake and the gardens and the wood just next to the house. Amazing! I have visited Rosings (2005) a couple of times and before te end of the month (maybe this weekend) I will visit Rosings (1995). Another one here from Australia who would relish visiting anywhere in the U.K.! But on my bucket list is Bath, Steventon, Lyme Park, Chatsworth House and the Peaks. Have you noticed that you are a Second Prize winner? See above? Please check your inbox for my email address and let me know where to post it. Hi, yes I saw I was a winner. I replied to the email I received (replied to Julia) with my address back on the 11th July. Brava and congratulations. Off to check availability in USA … Lovely! My dream is to do a “Jane Austen trail” throughout GB, tho’ my first stop would most assuredly be Bath in search of Mr. Tilney’s haunts. It is hard to pick one place but I guess I would love to start with Bath. It would be amazing to walk the same streets that Jane and her characters walked along. Excellent choice. Even if Jane’s feelings towards Bath were ambiguous, my own are firmly in favour of the place. It is just wonderful! It sure is a gorgeous book that I would like to own. Will it be available in Amazon US? I would dearly love to visit Bath and also London. But if I can only pick one, it would be Bath. Jane spend a great deal of time in the spa town and it’s also the setting of two of her novels, Persuasion and Northanger Abbey. Julia, this concept is inspired, and you have created an absolute must for any fans of Jane Austen, Mr Darcy or even just historic houses and gardens. The illustrations are fabulous, the accompanying narrative is perfectly matched, and I hope the book does incredibly well (not just for you, and it’s so well deserved – but also for the Jane Austen Literacy Foundation). What a great idea, Cass! I’m sure all JA enthusiasts will love to put their hands on this book after (or before) visiting Lyme Park! No, you are wrong! You MUST dare to hope! Everything he said is positive and indeed full of praise (quite rightly). Just keep pushing through those loops!!! it will happen! Congratulations to all the winners!!!! ❤ Gorgeous and original giveaways! I am so shocked that I am the winner!! THANK you sooo much!! !